As a British Citizen I am in the enviable position of having the right (at least for now) to take up residency in any 1 of 26 other EU countries. Countries as far north as Finland, as east as Cyprus, as west as Portugal and as south as Malta. A melting pot of languages, cultures and history which when combined provides for a myriad of potential lifestyle options and life experiences. you’ll have time on your hands to learn the local language. Of course as Ermine’s comment rightly pointed out in the Transition to Retirement post your human setting, which include access to family and friends, will also likely be a limiting factor on packing up and moving to a new country for many. Personally I'm in the fortunate (or unfortunate depending on how you look at it) position of having few ties to the South East of England but instead have family and friends spread far and wide throughout the world. This includes a healthy number of good friends and family on the Continent. This means that a move to Continental Europe actually brings some family and friends closer while I leave some good friends in the South East. My current plan has me moving out of London and the South East of England to either another UK location (Shropshire or Suffolk being current favourites) or to Europe. A large driver of this is the price of housing and other basic costs in the South East. By moving away I will be presented with the opportunity for a more fulfilling life as I’ll have the opportunity to move further up Maslow’s Hierarchy of Needs pyramid shown in the figure below. 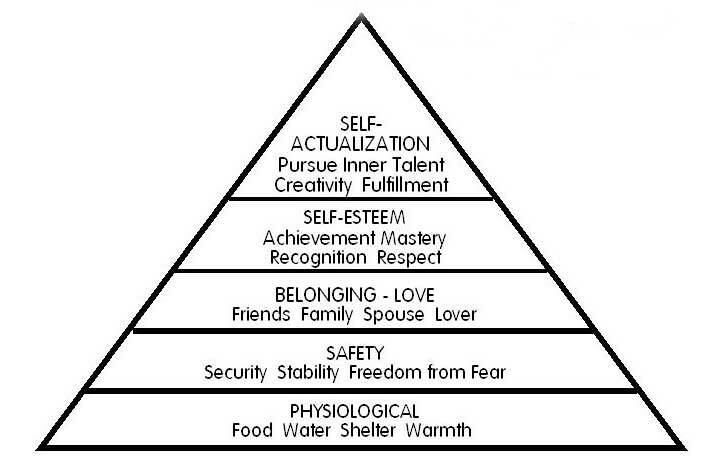 In brief Maslow detailed that every person has the desire and ability to move up the pyramid but they cannot move onto the next level of the pyramid until they have met the needs on the lower level. By moving away I won’t have to expend as much of my retirement wealth (nor worry about it as it won’t represent such a large a portion of my total assets) on the lower Physiological Basic Needs which includes Shelter and providing a pick a Safe retirement location I’ll be able to concentrate on moving through Belonging, Self-Esteem and hopefully achieve Self-Actualisation. I still have a number of years before I have to make the final decision on location but if I was forced to choose a European destination today Malta would be high on the list. 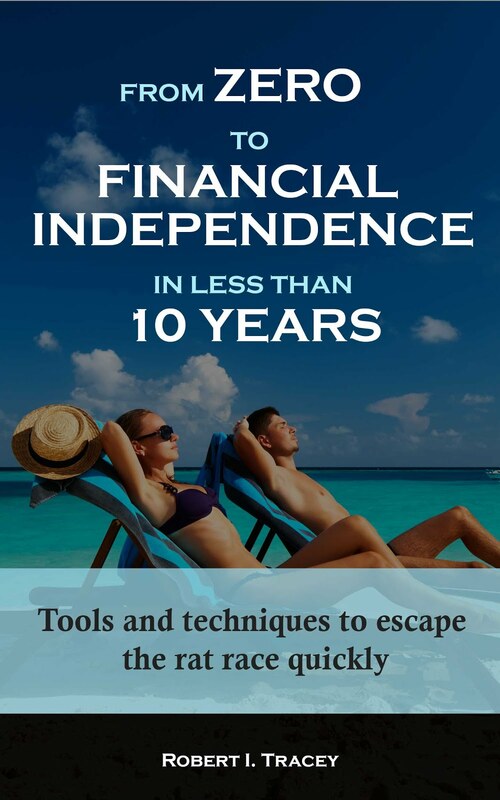 I've been fortunate to visit a few times over the past 5 or so years and in more recent times have really tried to focus on what it would be like to live there in financial independence as opposed to holiday or work there. It’s a country that I find surprisingly few people I come across really know much about so let me first set us right from a geography perspective. 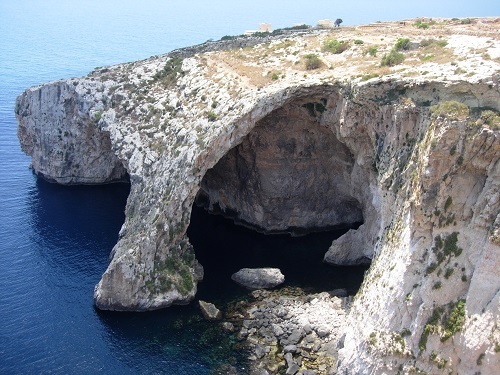 Malta is small at only 122 square miles and is actually an archipelago in the Mediterranean ocean with the three largest islands (in descending order of size) being Malta, Gozo and Comino. Malta has a population of only around 450,000 but because of its small size is actually the eighth most densely populated country in the world. So why am I considering Malta? This is probably best answered by looking at the Pro’s and Con’s as I see them today. While Maltese is the constitutional national language, English is an official language and I have found very widely spoken. This would mean initial settling in would be easier and should a problem arise before I could speak Maltese fluently then solving it shouldn't be limited by language. A Mediterranean climate. If I was to be picky peak summer might be a little hot but as a 44 year old retiree I won’t have to dress for work (shirt, tie and trousers) plus can stay out of the sun in the heat of the day making this a minor inconvenience only. Firsthand experience also tells me that winter, while mild on paper, with average lows of only around 9 Celsius in January, can get very windy and actually feel very cold as a lot of the buildings are not designed for cold conditions. Damp and mould are also common problems from what I can see. which have no personality and aren’t so cheap to use. all within a short bus ride from wherever I live is going to keep me fit, healthy and content for a very long time. 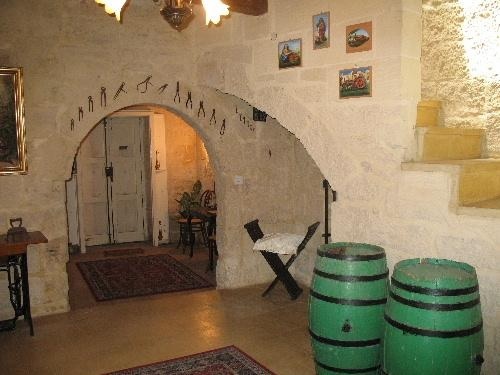 That is a 3 bedroom house of character which includes a garden and a cellar in a nice residential area. Other Physiological Basic Needs. Electricity, water, internet (although I would say not a Basic Need) look to be about the same cost as the UK. Providing you buy local brands or from local vendors food looks cheaper than the UK. You also don’t have to worry about costs like a TV licence (again not a Basic Need). Good healthcare. Malta was ranked number 5 in the World Health Organisation’s World Health Report 2000. Having had the misfortune of having to use the system I can only say that the hospital I used was clean, efficient and very professional. As a person who would initially be of non-retirement age I should qualify for emergency medical help under the Reciprocal Health Agreement between Malta and the UK but the method I would likely use would be to simply pay Maltese Social Security Contributions. As I’d be a “Self Employed Person” who received income from rents, investments and capital gains I’d pay Malta Class 2 Social Security Contributions which for me would be 15% of my annual net profit/income brought into Malta (more on that below). Social Security payments would also provide other benefits other than just healthcare such as a Contributory Retirement Pension. Would have no inheritance tax to pay. The crime rate is low. For example when it comes to robbery in 2000 the US had 144.92 per 100,000 of population and Japan had 4.08. Malta was 35.56. For aggravated assault Japan had 23.78, the US 323.62 and little Malta a low in comparison 18.27. Even though Malta is a series of islands the European mainland is not far away. 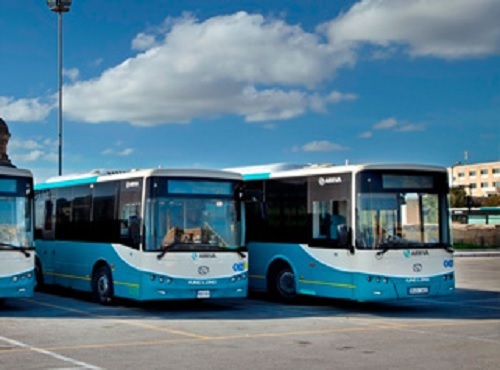 A ferry journey of 1.5 hours will see you travel from Malta to Pozzallo, Sicily in Italy and from their Europe is your oyster. English is an official language. With English being widely spoken I may never actually learn to speak another language fluently. As opposed to plonking myself in say Bulgaria where I’d need to learn quickly. The driving. Let’s just say that I've travelled to many countries for work including India. Maltese driving on the whole must be some of the worst I've seen. I would like to develop a level of self sufficiency. 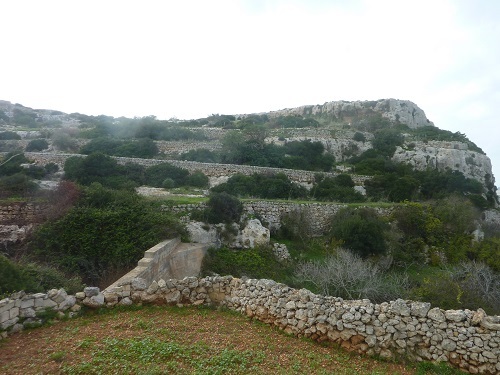 In my travels around Malta I've seen some small farms but houses with a bit of land seem few and far between. I assume this is because of the population density. Additionally the landscape does not generally look very fertile meaning this could prove more difficult to achieve than say in the UK or some other European countries. Even though Italy is only 1.5 hours by ferry it may become a psychological barrier between family/friends on Continental Europe. I could continue to run through other Pro’s and Con’s but hopefully this gives a top level overview of why I'm thinking Malta for retirement. Are you currently living in or have you lived in Malta? I’d value your Comments particularly around is my assessment accurate? As always I’d also be grateful for any Comments from other non “Maltese” readers. Would you ever consider Malta? If yes why and if no why not. 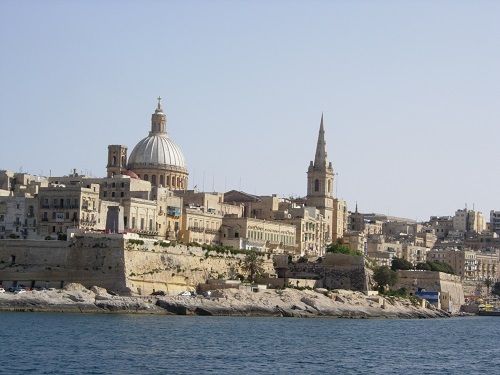 My brother has lived in Malta since 1993 and I have been going there regularly since 1996. It used to far cheaper there than here in UK, but since joining the Euro has become a very expensive place to live. The exception being rents, which are still low, but you will pay more to buy food, clothes and eating out in Malta. Property prices are very over-valued. 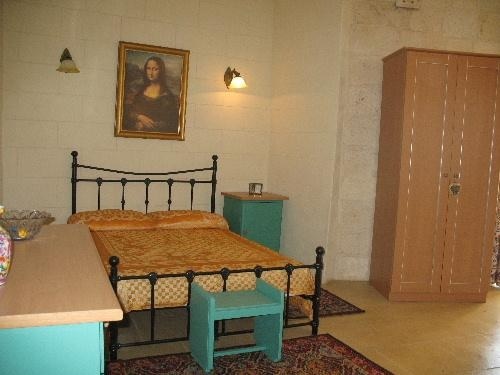 As the Maltese barely have to pay any annual costs on an empty place, they are quite happy to own unfinished flats which are then worth whatever they believe in their head to be it's value. They never really got caught up in the credit crunch though because the banks are quite sensible and frugal. Can't see much chance of prices there returning to a realistic level. As I said, they are quite happy to sit on what they see as an investment for the long term. So if going there to rent, you can be better off than here. But it does get quite annoying when walking round the supermarkets (very small) and shops and seeing the prices. Much as I loathe the UK nowadays, we do have cheap goods and supermarkets. Thanks for the "on the ground" perspective. Some good information in there that I can go off and do some more research with. I used to be consider retirement in Southern Europe, but changed my mind. When one is old, it is getting more difficult to adjust to new places. It is better to retire comfortably within the area where you lived your last working days and knew everything and everyone. 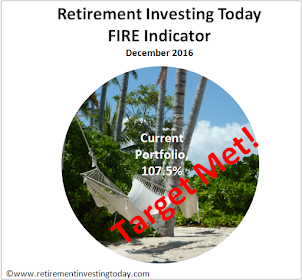 Retirement is not the time to get to know new exciting places with all the risks and challenges. At this point the excitement of having to learn new things and meet new people is actually one of the big motivators. The risks I'll try and minimise by thorough planning and research but I'm up for plenty of challenges also. Over the years I've had to travel a lot for work plus have undertaken some relocations and so maybe I'm now built a little differently from that experience. Could I be so bold as to enquire what you define as old as we might have different definitions? Alright, I would agree that 40 is not "old", but think about it - you are to select a place which will your home for a number of years, eventually, you will be "old" no matter how you define it. Are you ready to be getting "old" over there? Temporary relocation are significantly different from permanent ones. Although, if you plan to start business, this is not going to be the classic "retirement". Wherever I move (whether UK or Abroad) could end up being the location where I grow "old". Of course it might not be right and another move may be required but I'm going into it with the intention to find a forever location. I partially alluded to that in the post with reference to public transport and healthcare. You're right that a side hustle (maybe a business) may not be a classic "retirement". That's because way back in my 3rd post in 2009 I defined retirement as simply work becomes optional. I've pretty much stuck to that definition throughout although I now use the term financial independence more often. I'll certainly do that and a lot more. So at least at a very top level it looks to be healthier and better run than the UK. I'd analyse it like this. 1. UK: (a) Do I want a city that's beautiful with plenty of intellectual stimulation available? If so, start by considering Edinburgh, Oxford and Cambridge. Or (b) am I after the countryside? In which case there are too many lovely spots to list. Personally, my dream small island is the Ile St. Louis, but it's a bit pricey. ...Île Saint-Louis... I like it :-) I fear it's also out of my price range. > I would like to develop a level of self sufficiency. Island microclimates vary rapidly over a much smaller area than continental (or even big-island) climates - a distance of only a mile or so can make a big difference. 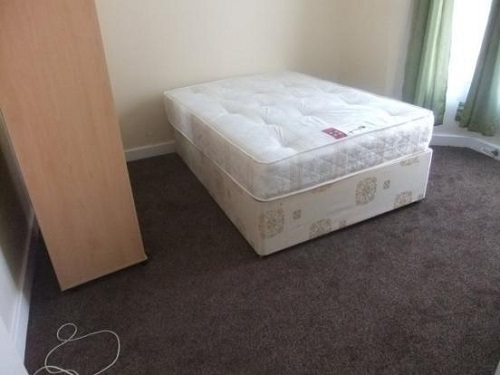 It isn't necessarily an issue but worth bearing in mind when you're looking for a place. I have been living/working in Portugal since the beginning of 2012 and have found it to be a great place to live. 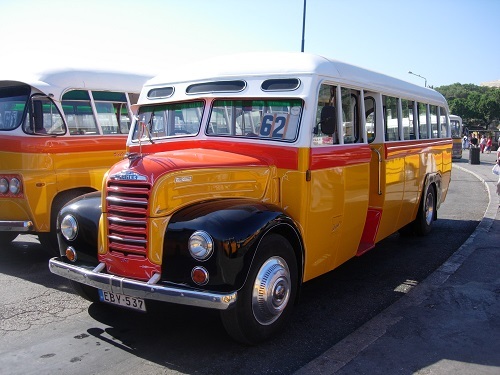 I am not retired but work remotely and so I need a pretty good internet connection and you have that in Portugal. We have a house in the country side in the Silver Coast Area, we have cable internet and the speeds are some of the best I have seen in the world (>120MBS down)! And that is in the middle on the countryside! There is also a lot of very affordable golf in the area, things got a bit carried away during the last boom and now there are 3 very good quality courses very close to each other. We spend our weeks in the Cascais area for the kids school and the internet connectivity is even better there (>150MB). This area is lovely, a little more expensive but also a little more developed that the countryside. The medical services here (private) seem to be very good although we do have private health insurance. Portugal's finances are an issue. Although I think that is just making real estate even cheaper...... Also the Portuguese recently finalized their Non Habitual Resident status, which offers great tax incentives to live here. All in all a pretty good deal I think. There is an Indirect Sales Tax (IVA) of 23%, but again the cost of living is so affordable you really don't notice it. Also Ryan Air flies into Porto and Lisbon, so you have good cheap flight options to other parts in Europe. Over my life as a diplomat abroad I have seen many British expatriates drawn by the image of the good life, but after a few years the novelty and the view has worn off, they are bored, inward-looking as a community and often drunk. They start to miss the many things taken for granted (and often despised) in their own culture, and they wish to return to UK but cannot easily do so or afford to do so. On your specific situation - at the present time, there is a potential risk if the UK withdraws from the EU. And how do you quantify the risks (especially in the peripheral European countries) of adverse fiscal situations leading to greater taxation particularly of expatriate earnings (Spain lately provided a timely nudge on that one)?